Twitter has been trying to get back in the game so to speak and regain some of its lost glory back from when it was one of the foremost social media apps out there. Its influence has been steadily declining, and in order to recapture some of the market share it started working on “Twttr”, which is a separate app that it is ostensibly using to capture the Gen Z market. The web version of the social media platform is also getting some sweet camera upgrades. 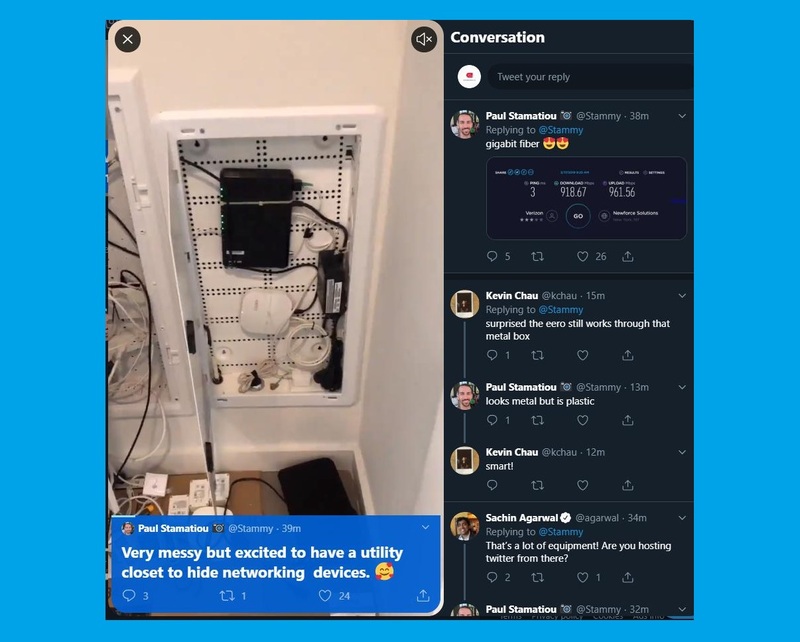 You will basically be able to use the camera and get a separate window of sorts within the same frame that will feature tweets broken up into a conversation that is much easier to follow. This is a welcome change that helps create legitimate threads of content, and will allow you to add overlays at the bottom featuring text that is ostensibly going to be used to describe the image. It is important to note that this new feature is a lot like "Stories", a feature that Snapchat created which was subsequently copied by Facebook and added to its various properties such as Instagram and even WhatsApp. While it's not yet comparable to the Stories feature that so many other apps has, it does indicate that Twitter may be headed in this direction, which is going to be a good move if the company wants to remain viable in a market that demands a feature like this in the overall social media experience.